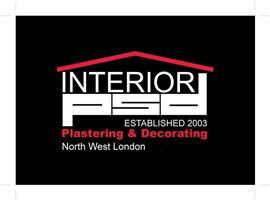 Interior PSD - Painter/Decorator, Plasterer based in Wembley, Middlesex. Thank you for visiting the profile of InteriorPsd. InteriorPsd are a London based company providing plastering, painting and decorating services to both domestic and commercial client, in and around the London area. Since being established in 2003 by Mariusz Jackowski, PSD Ltd has grown from strength to strength and built an impressive reputation. Our goal is to provide a high quality plastering, painting and decorating service at competitive rates to ensure customer satisfaction and to secure future contracts.